This is a great idea! 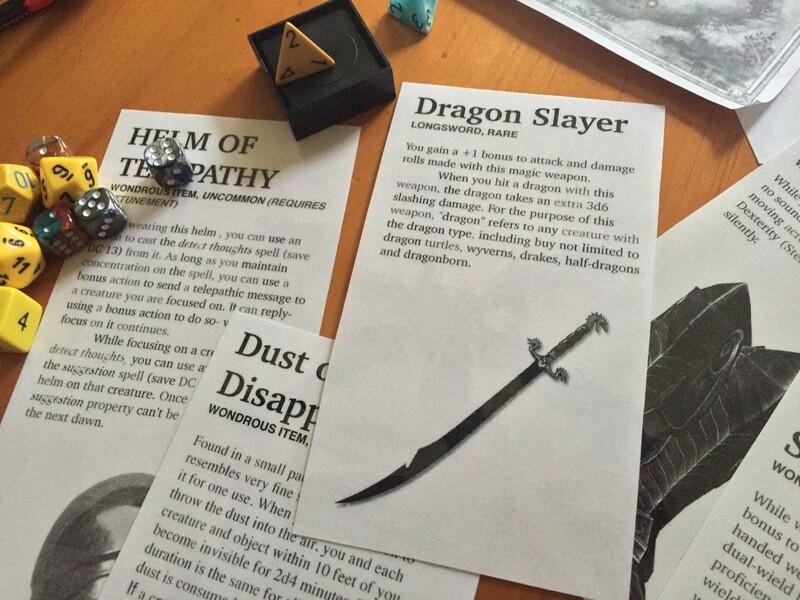 I constantly have the problem of players leaning heavily on one or two items and forgetting the rest – all because the items have been relegated to a word on their character sheet. So, any chance you can put them up for download? Shawn, sorry for not replying sooner… I would put them up for download, but I’m afraid there’d be some copyright issues. My suggestion: search the internet for cool photos, and drop them into a word doc, and then add the text. YMMV. Thanks for the kind response. Can you at least post a ”dummy” document with a placeholder pic and placeholder details so that we have a template to work from and an idea of what a finished card looks like?